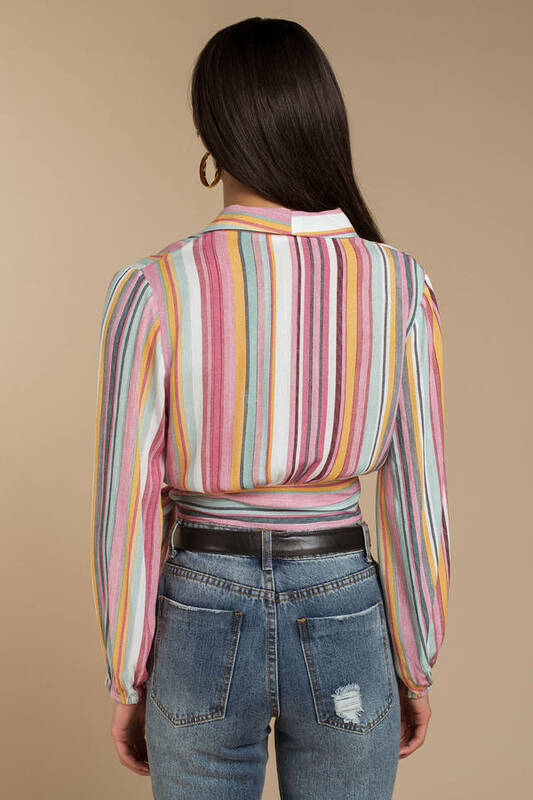 Check out Tobi's Maybe Someday Stripe Blouse Feel retro AF in the Maybe Someday Multi Stripe Blouse. This striped top features a cropped surplice construction, v-neckline, long relaxed sleeves, and gorgeous colorful stripe print throughout. Pair this long sleeve retro shirt with light wash denim. 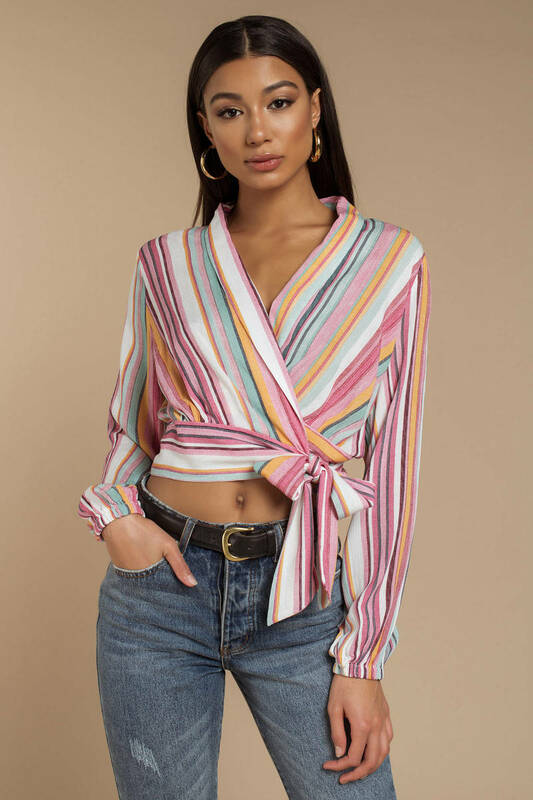 Feel retro AF in the Maybe Someday Multi Stripe Blouse. 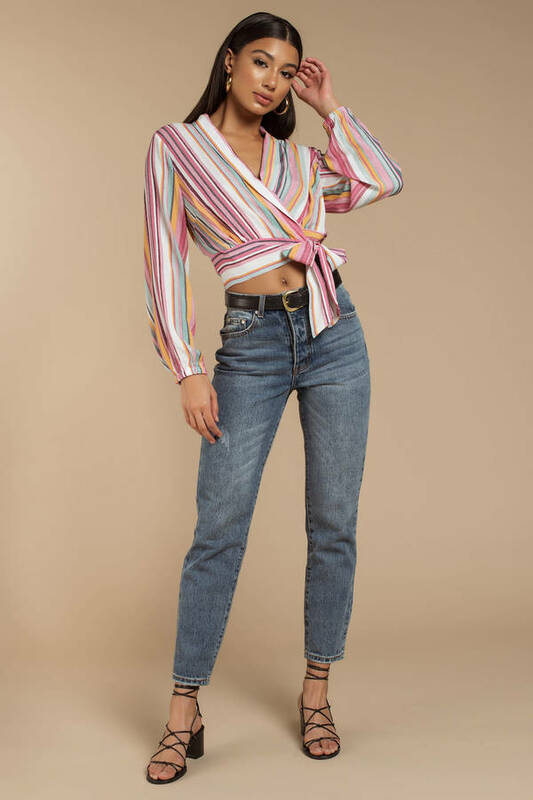 This striped top features a cropped surplice construction, v-neckline, long relaxed sleeves, and gorgeous colorful stripe print throughout. 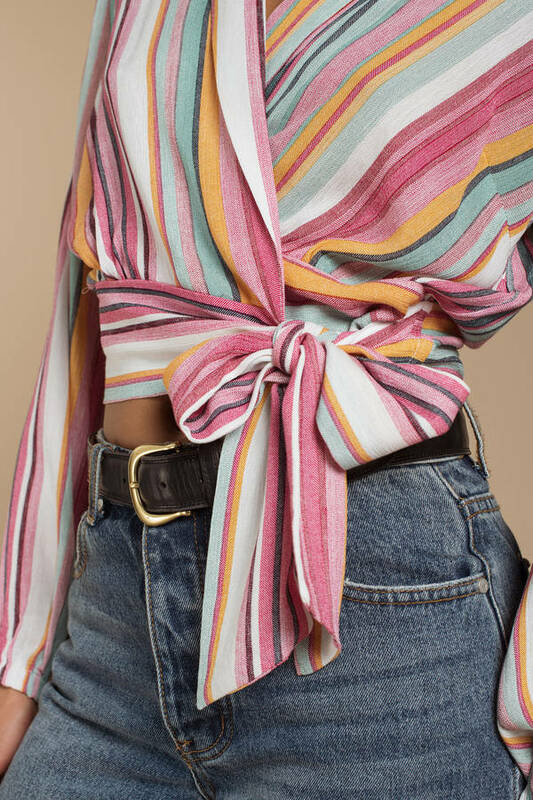 Pair this long sleeve retro shirt with light wash denim.